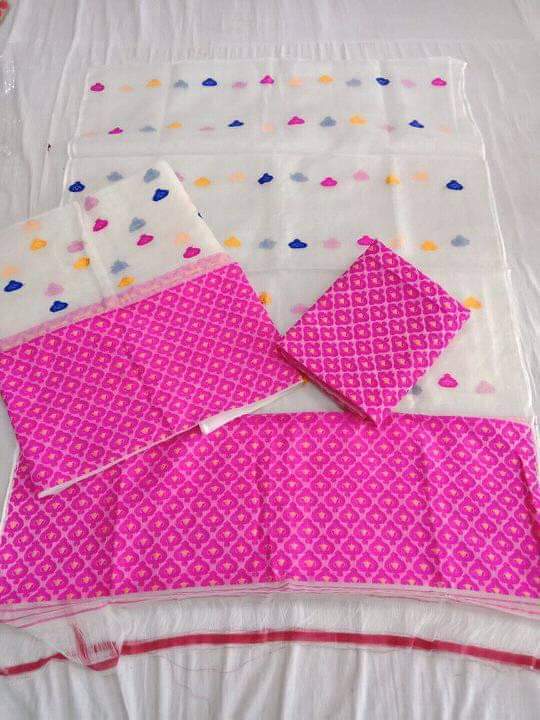 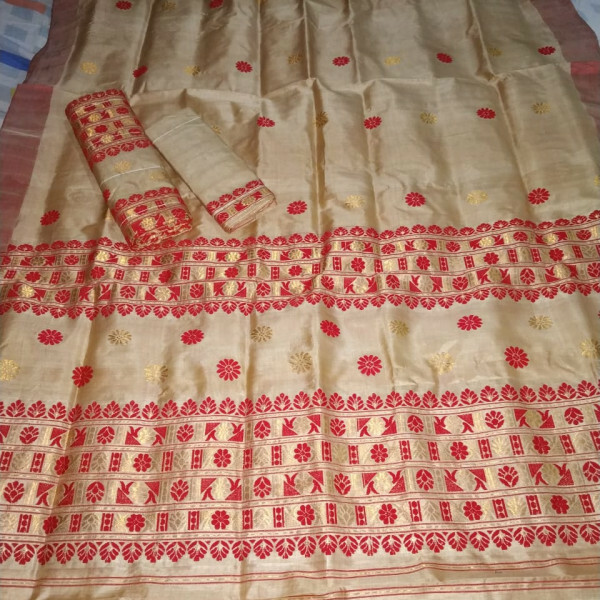 Pure Tassar Silk Mekhela sador set with Nasoni design work with multiple color xuta and Guna work which gives the whole set a traditional look. 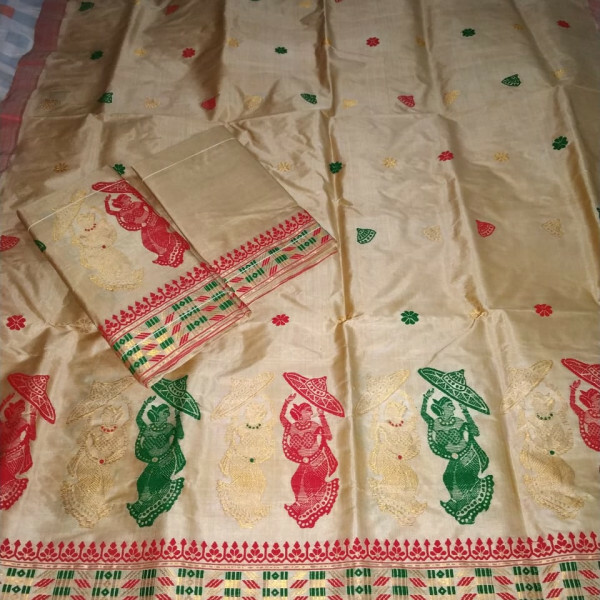 Pure Tassar Silk Mekhela sador set is available with Nasoni design work with multiple color xuta and Guna work which gives the whole set a traditional look. 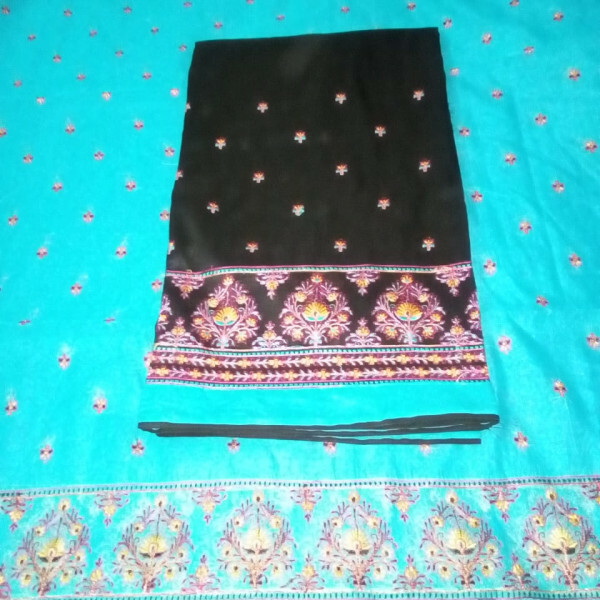 Blouse piece is also available in Tassar Silk material with side border. 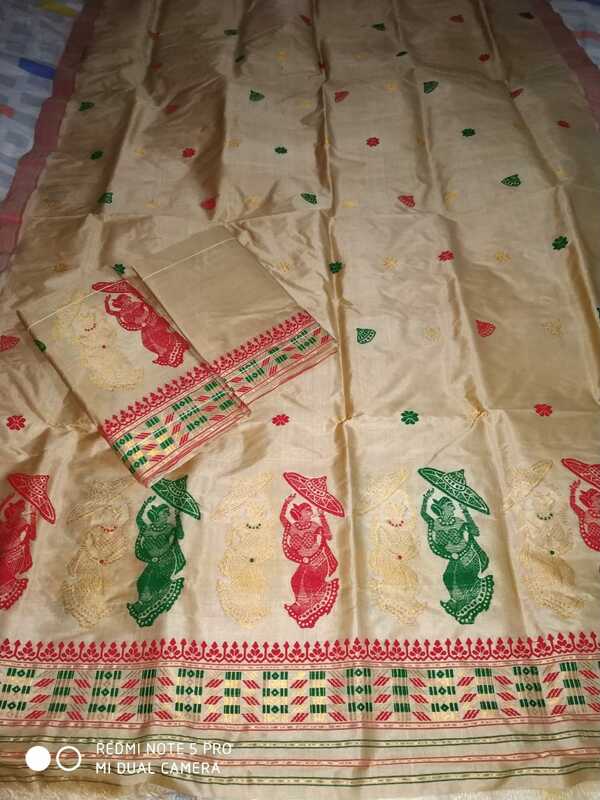 Gives a gorgeous look if you wear Assamese traditional jewellery with this dress.